Director Jacques Audiard has crossed the Atlantic to work in that most American of genres, the western. And what a western it is. From the very first moments of “The Sisters Brothers,” it is clear that Audiard wants to bring something new — a particularly eccentric balance of wit, tenderness, and toughness of spirit — to the form. 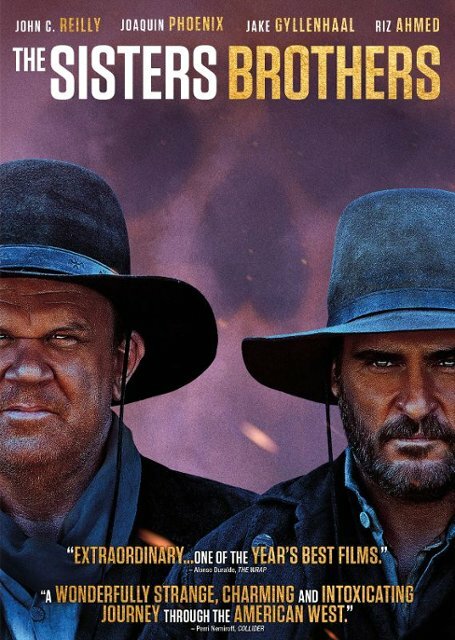 Based on Canadian author Patrick deWitt’s award-winning novel, “The Sisters Brothers” tells the knockabout story of two notorious assassins, Eli and Charlie Sisters (John C. Reilly and Joaquin Phoenix). Grizzled, cynical, and not inclined to take prisoners, the Sisters brothers navigate, with brutal efficiency and a modicum of luck, the wilds of the American Far West at the height of the Gold Rush in 1851, when quick thinking and an even quicker draw are the requisite means of survival. Contracted by Oregon City crime boss The Commodore (Rutger Hauer) to kill Hermann Kermit Warm (Riz Ahmed), a prospector he claims has betrayed him, the brothers encounter myriad complications on their eventful ride down to San Francisco and through the Sierra Nevada: witches, bears, a madam who owns a town and commands a murderous army of fur trappers, and a detective (Jake Gyllenhaal) tracking the same peculiar man they are. Inflected with dark humour, a dreamlike quality and a good deal of reverence, the film tips its hat to the tradition of the genre while providing its own unique stamp.